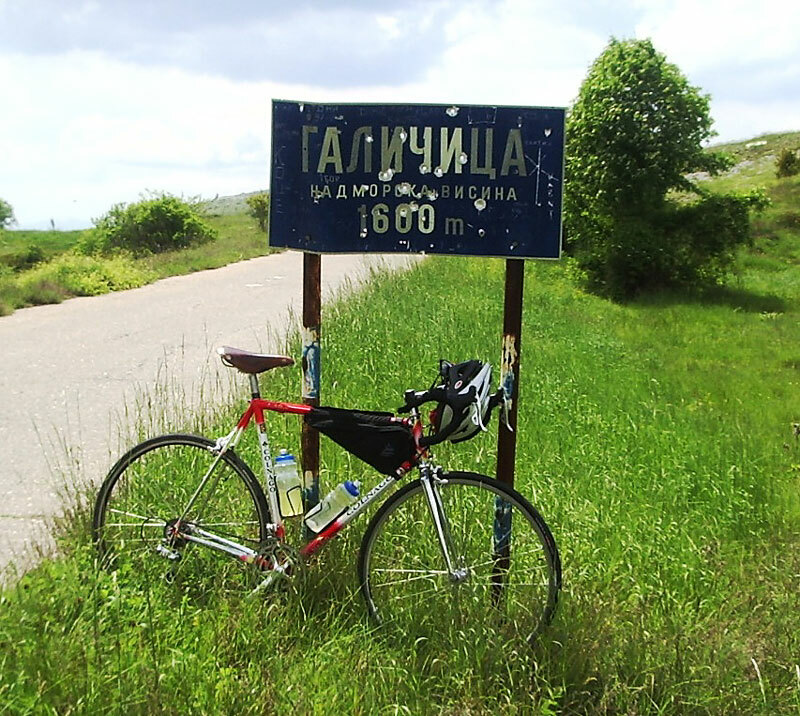 The pinnacle of achievement for both man & machine -- my 58cm Colnago MasterXLight (1999 model) as seen on my recent 60-mile ride in the Balkans, along the Macedonian/Albanian border. 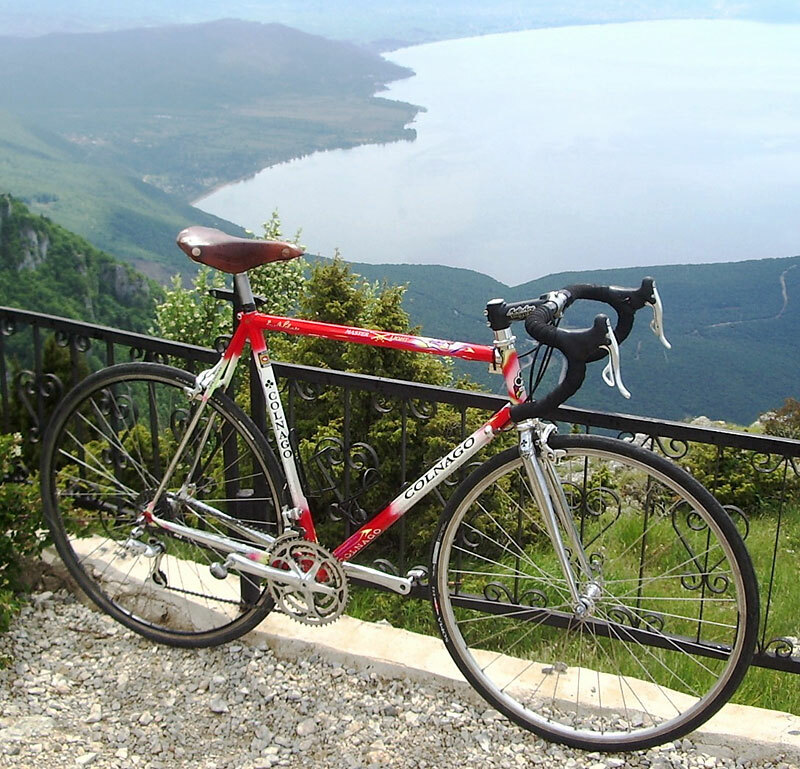 The ride begins near Prespa Lake in Macedonia, at about 2550ft altitude, and after a seven-mile climb, it reaches the pass over Galicica mountain at about 4800ft. alt. Whew! A few minutes later, the road begins a steep descent to Ohrid Lake at 1950ft alt. 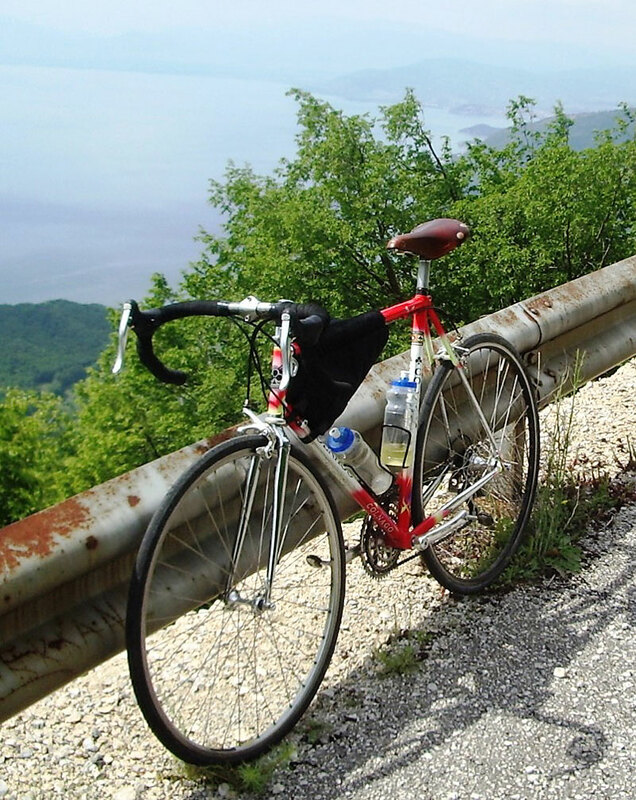 The route runs along the lake, then climbs over another pass of 3600ft alt. before returning to the start. 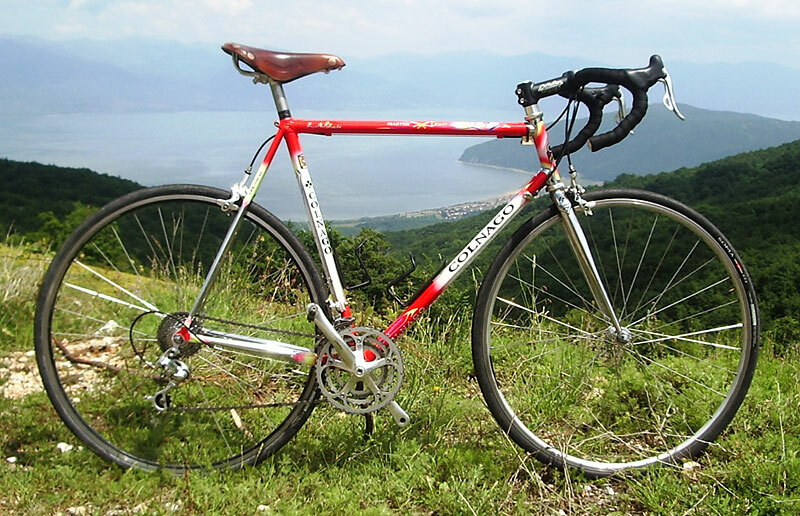 The bike is equipped with Campy Athena components and the usual assortment of other goodies. 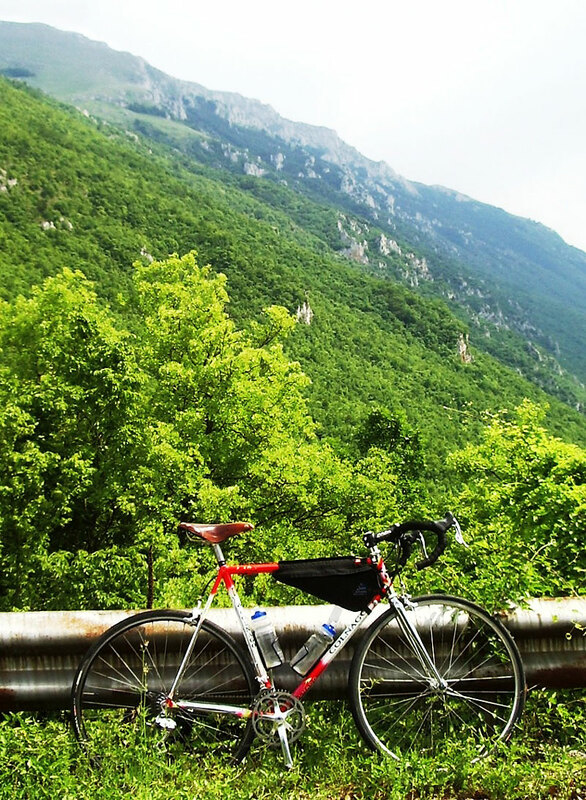 I always ride 25c tires, because the roads are pretty bad in this part of the world.